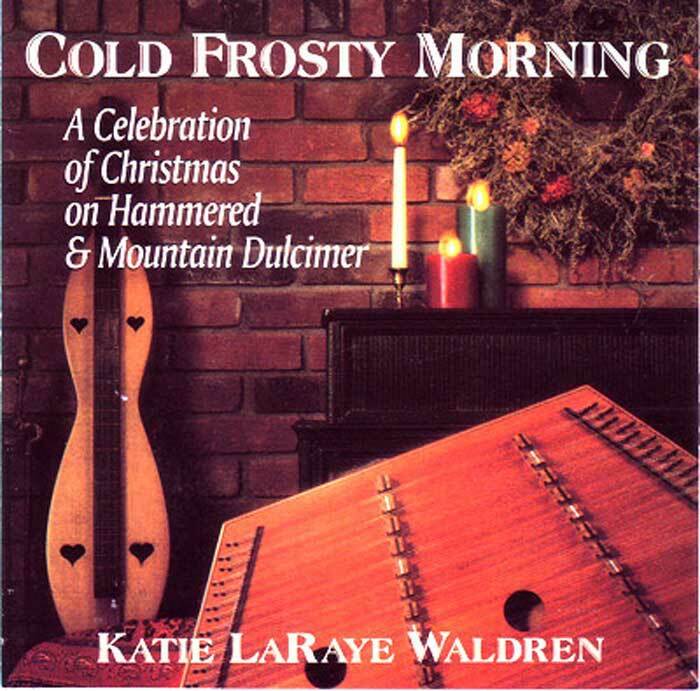 A stunning collection of music beautifully played by Katie LaRaye Waldren on mountain and hammered dulcimer that celebrates the Christmas season. This all-instrumental recording of Christmas and winter favorites is enough to warm anyone’s heart. 42 minutes. Click musical notes, below, to hear a short sound clip of that song. THE TUNES: Drops of Brandy, Carol of the Bells, What Child is This, Cold Frosty Morning, We Three Kings, First Noel, Cherry Tree Carol, St. Basil’s Hymn, Humors of Winter, Away in a Manger, I Wonder as I Wander, Down in Yon Forest, Christmas Day in the Morning, Noel Nouvelet, Angels We Have Heard on High, Jesu Joy, Bring a Torch Jeanette Isabella, God Rest Ye Merry Gentlemen. Be the first to review “Cold Frosty Morning” Click here to cancel reply.